Bonn, 1 March 2016 – 3 March is World Wildlife Day, a date chosen because it marks the signing of the Convention on International Trade in Endangered Species (CITES). The theme for this year is “Their Future is in Our Hands” and CMS is organizing a series of events to celebrate the day, to complement other activities, including an International Elephant Film Festival in New York, where CITES Secretary-General, John Scanlon will highlight the plight of African and Asian elephants. CMS Executive Secretary, Bradnee Chambers has written an “op-ed” highlighting the link between the illegal killing of elephants and rhinos for their tusks and horn and the dramatic decline of vultures in Africa. Poachers are now also deliberately poisoning the birds because their circling above the carcasses of the slaughtered animals helps the authorities locate the criminals. Vultures in Africa are facing a crisis as great as the one that afflicted South Asia, when 99% of the birds there were lost as a result of poisoning from the veterinary drug, diclofenac. Tens of thousands of people died of rabies as a result of feral dogs filling the void left by the vultures. CMS Ambassador Ian Redmond will also be presenting a virtual tour of the Mount Elgon National Park, Kenya, famous for its underground elephants which venture deep into the dark caves to mine the mineral-rich rock to satisfy their appetite for salt. Ian will act as a guide and will be ready to answer visitors’ questions. You can join the virtual tour here. Being shown at the New York Elephant Film Festival is “Pembe ya Ndovu’” produced by documentary maker, Steve Taylor. The film takes viewers on an exciting journey across the heart of Africa, from Gabon’s Atlantic coast, across the Congo Basin to the savannahs of East Africa. Filmed entirely in full HD, spectacular wildlife sequences contrast with disturbing footage of markets selling illegal wildlife products, and shoot-outs between rangers and armed poachers. It will be also shown at the UN Premises in Bonn. 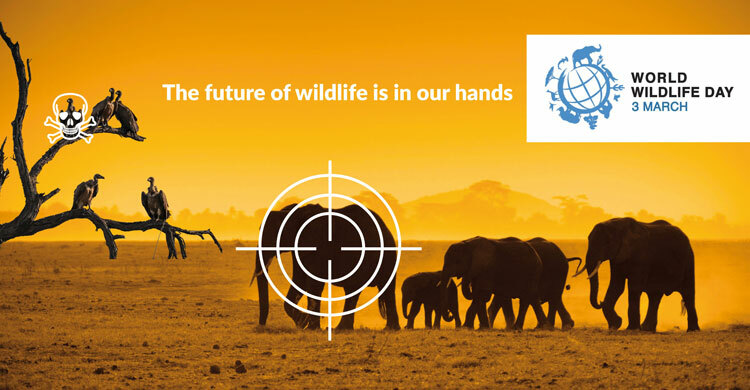 Some members of staff of the UNEP/CMS Secretariat will also be visiting the Bonn International School later in the year to explain to the pupils there the importance of wildlife and the need to combat poaching. the Executive Secretary of the UNEP Convention on Migratory Species of Wild Animals (UNEP/CMS).